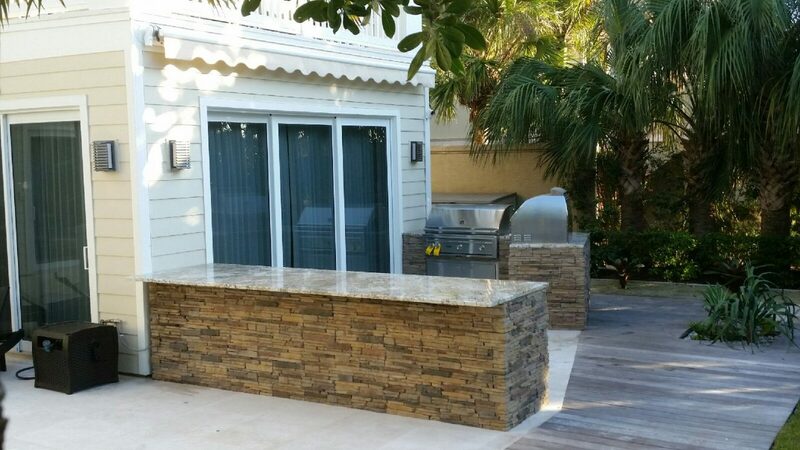 The outdoor kitchen for this Casey Key home features not one, but TWO custom barbeque islands. The primary reason for this unique layout was to keep from blocking the view to the backyard through the sliding doors. 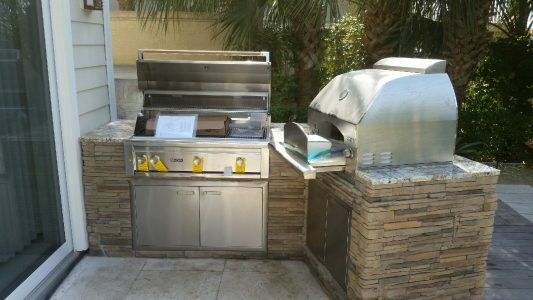 At the same time, the close proximity to the doors makes it easy to access the grilling area. 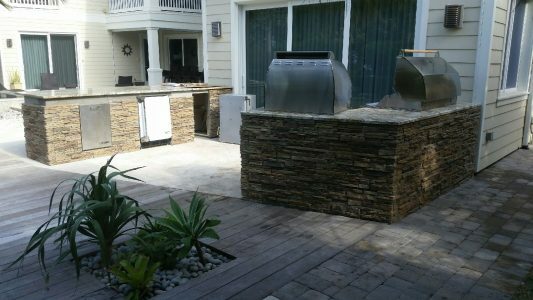 Lynx was the customer’s brand of choice, and they wanted all the bells and whistles. The first island is dominated by a Lynx 42” Professional Series Grill and a Lynx Pizza Oven, with double doors under each appliance. Across the way, the other island contains a trash can pull-out, a 24” Professional Series Fridge and an ice maker. 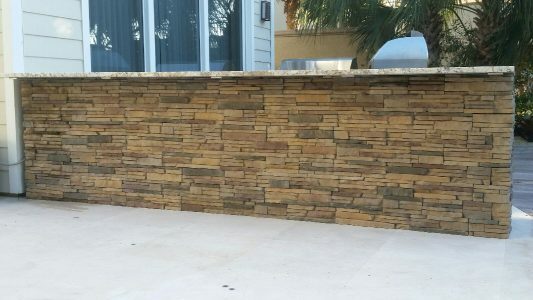 The countertops are premium granite, set atop cast concrete stonework. 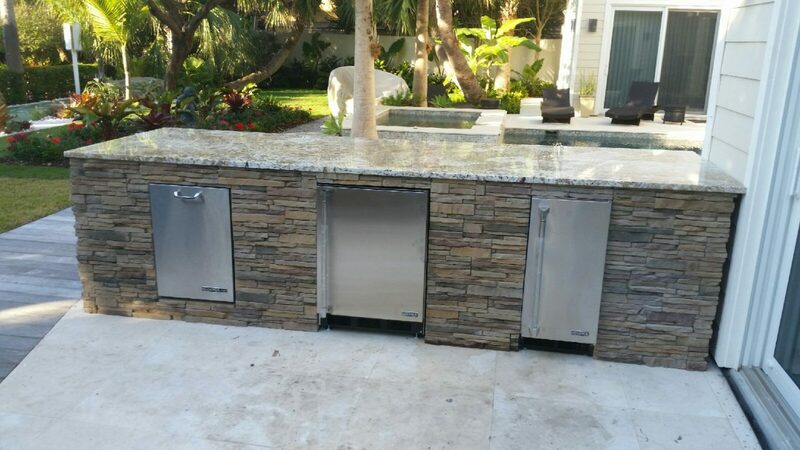 We had the pleasure of working with a contractor on this job, who installed the travertine floors beneath our outdoor kitchen islands.